Hello everyone! How’s the holidays? With the New Year celebration just around the corner, I thought of coming up with some tried and tested Paleo diet recipes in concocting healthy yet sumptuous dips, sauces and spreads to impress your guests. 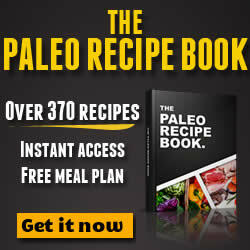 I have posted previously posted an article on Paleo Diet Tips On Condiments, but this time, let’s take it a notch higher by providing you easy and usable recipes that you can actually work with and incorporate in your menu when entertaining guests. You can use these ideas for practically about any occasions. Simply mix all the ingredients together using a blender or food processor. Keep it chilled and serve slightly cold to provide contrast to the palette. Simply blend all ingredients together with your blender set on high. You can store the dressing in a clean and dry mason jar and keep chilled. Again, blend all ingredients together. Make sure to constantly taste all throughout the procedure to get the best possible mixture. Keep in a refrigerator. Simply mix everything using a food processor or blender and blend until the mixture attains that creamy consistency. Mix everything in a blender until you reach that creamy consistency. Gradually add salt and constantly taste. To add some fun variations, you can consider adding roasted garlic or an avocado. 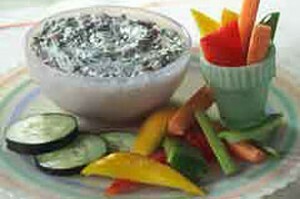 You see, these dips, sauces and spreads are best prepared ahead of time to ensure fuss-free entertaining. Keep in handy and readily available in your fridge for snacks and light dinner along with fresh veggie sticks.